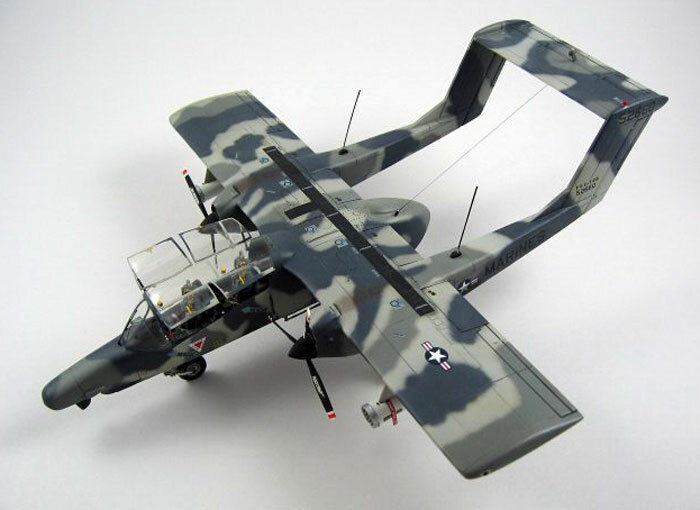 This is my 1/48 scale YOV-10D Bronco made from the Testor / Hawk kit with a Missing Link conversion set. 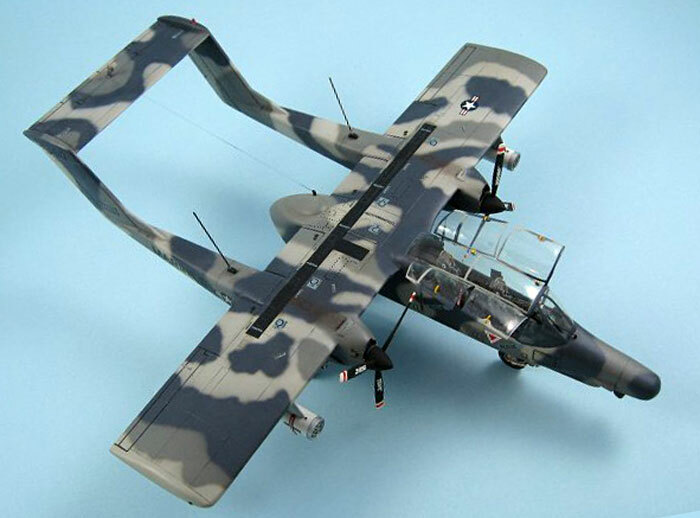 That kit contained the cockpit, various bumps, FLIR housing under the nose and under-fuselage gun. Rocket pods are from the Hasegawa 1/48th scale weapons set. Canopies were vacu-formed and detailed with bits and pieces. Rocket pods are from the Hasegawa 1/48th scale weapons set. Antennas were made from stretched sprue and painted black. The windshield wiper was also made from stretched sprue. Floquil paint was used throughout, mixed from F.S.595 standards. Canopies were vacu-formed and detailed with bits and pieces. It took several LONG spraying sessions to accomplish the intricate camouflage pattern, all freehand. Remove Before Flight flags came from an old Expert's Choice sheet. The wing walk decal is from the kit. Individual numbers were applied one at a time to make up the tail serial number. Remaining decals were cobbed up from the spares box.